Fitting a contact lens means selecting lens parameters that are compatible with each individual patient's eyes. A microscope is used to evaluate the lens to eye relationship. It is also used to monitor eye health. 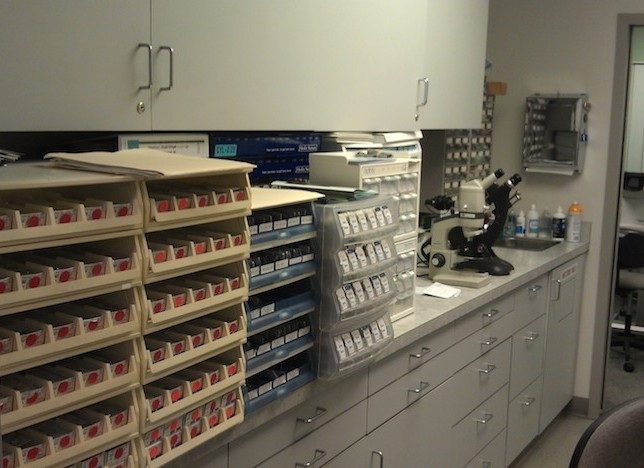 We have an extensive inventory of every type and design of diagnostic contact lens. In addition to the customary designs, our inventory includes bifocal contact lenses, new silicone based-high oxygen permeable lenses as well as toric (for astigmatism) and one day disposable lenses.